The mother of a Mentor woman describes alarming changes in her daughter after being prescribed a popular antibiotic that she suspects played a role in her daughter's death. 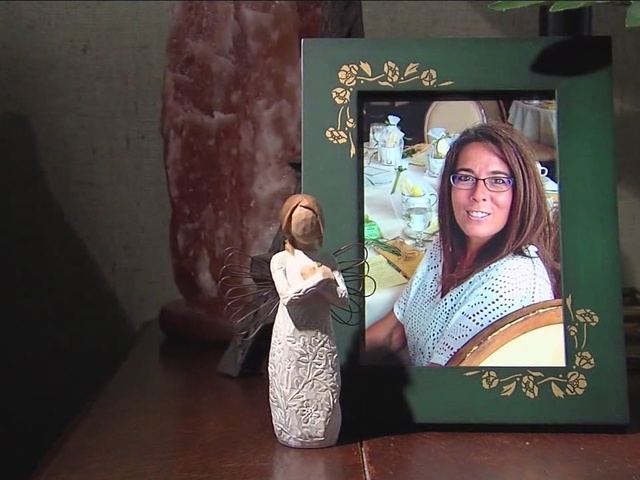 47-year-old Deana Poghen was struck and killed on I-90 in Mentor last Christmas Eve. Florence Summers suspects Cipro, one of the nation's most widely used antibiotics, caused serious side effects that contributed to her death. "She was beautiful, she was vibrant and happy," said Summers, "she loved life--and lit up a room when she came in." But our exclusive investigation found that within months--it all began to unravel. "If she would take a shower, her skin would hurt," said Summers, "she lost the sensation of warmth and cold." Poghen's mother says her daughter took the drug for only a few days four months earlier but immediately serious side effects began to surface. "After the very first dose," said Summers, " she had a severe reaction"
Summers said her daughters "skin began crawling" and she would beg her to "keep her safe." The family said it did everything they could--but nothing helped and the "bad thoughts" continued. Last May, the U..S. Food and Drug Administration issued new warnings and label changes for drugs like Cipro that belong to a family of antibiotics known as fluoroquinolones. "Serious side effects," warned the FDA, "outweigh the benefits for many patients." "Treatment should be stopped immediately if side effects are reported." But the FDA warning came too late for Poghen who believed the drug was safe. One of the nation's leading drug safety advocates says Poghen is not an isolated case and the FDA has found at least 600 suicide related cases reported in the last 18 years--133 deaths. Dr. Charles Bennett says "even as few as one or two doses--they can develop serious, permanent and disabling psychiatric toxicity." "These are things like being unable to work, unable to concentrate, body pain, and very, very disabling." Bennett also remains concerned that new warning labels do not go far enough. "The medication guides in the July 26, 2016 updated fluoroquinolone labels do not include the Boxed Warnings stating that the fluoroquinolone antibiotics may result in disabling and potentially irreversible serious adverse reactions." Bennett also says drug companies have not sent health care professionals letters informing them of serious changes contained in new labels. The FDA, responding to our requests, says health professionals are "advised to counsel patients regarding disabling and potentially irreversible serious adverse reactions" may occur. In medication guides for patients, the FDA says it also warns that "some of these serious side effects can happen at the same time and could result in death." Prescribing Information is intended for the health care professional, and the Medication Guide is intended for the patient. In the Prescribing Information (Section 17), the health care professional is advised to counsel patients regarding disabling and potentially irreversible serious adverse reactions that may occur. The Medication Guide is written at the 6th to 8th grade level using simplified wording that is consistent with the Prescribing Information. Under the beginning section of the Medication Guide entitled, “What is the most important information I should know about DRUG?,” the serious and potentially disabling risks of tendinitis and tendon rupture, peripheral neuropathy and central nervous system effects are described in patient-friendly language. We note that the Medication Guide states, “Some of these serious side effects can happen at the same time and could result in death” and uses the word “permanent” when describing the side effects.